Waist Band Fast Fix™ lets you keep your pants up without a belt—eliminating gaps for a perfect fit. 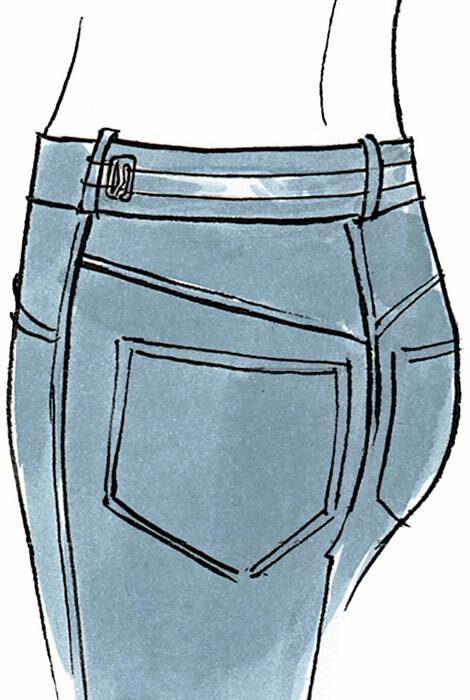 Great for stretch jeans that tend to slide down with a belt, the clear plastic waist tightener band attaches to side belt loops, adjusting from a 26" to a 40" waist. Thin adjustment slider and connectors won't show through sleek knits, sweaters or blouses. Set includes 3 waistband tighteners. This item should help me solve a problem with fit. Thank you for carrying it. I don’t like the buckle on my belts sticking through my tops. I’m hoping this really works. Lots of my jeans and pants require that I wear a belt, which I don’t like. To avoid spending a lot of money taking my pant to alterations. 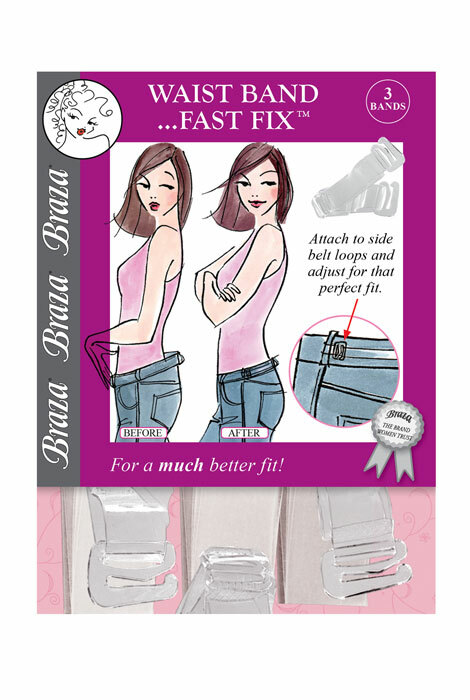 There are almost no products out there for reducing the waist in pants so I was excited to see this product. I hope it works. Maybe they should start making pants for women like they do for men and kids with adjustable waist bands. hoping it works better than a belt! Because all pants I buy are too big in the waist. I like not having to wear a belt. Because I wanted to try this. I haven't seen anything similar anywhere else. I really like this belt and the one I had just broke !! I have too many pairs of pants that are too big at the waist but fit everywhere else, and I am constantly having to pull them up in back. This is a simple solution to this problem that requires no sewing. have never seen in stores! 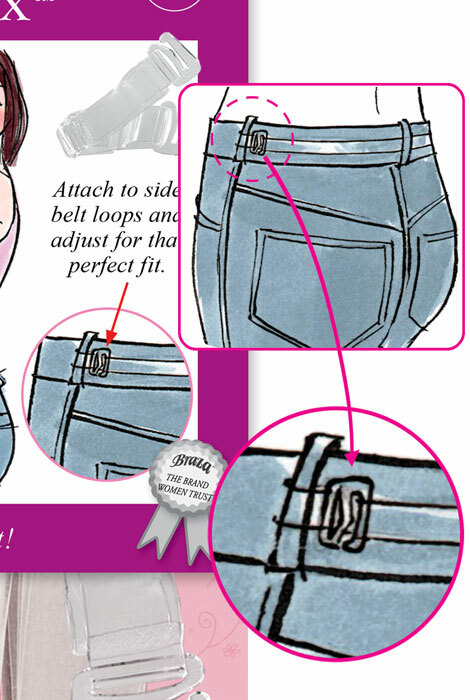 To help make jean's waist fit better. Waist band is always too big! I often find that a pair of jeans fit great except for the waist. There is usually a gap in the back. Going to try this. Hope it works. Have jeans that want to gape at back. Do not like belts.